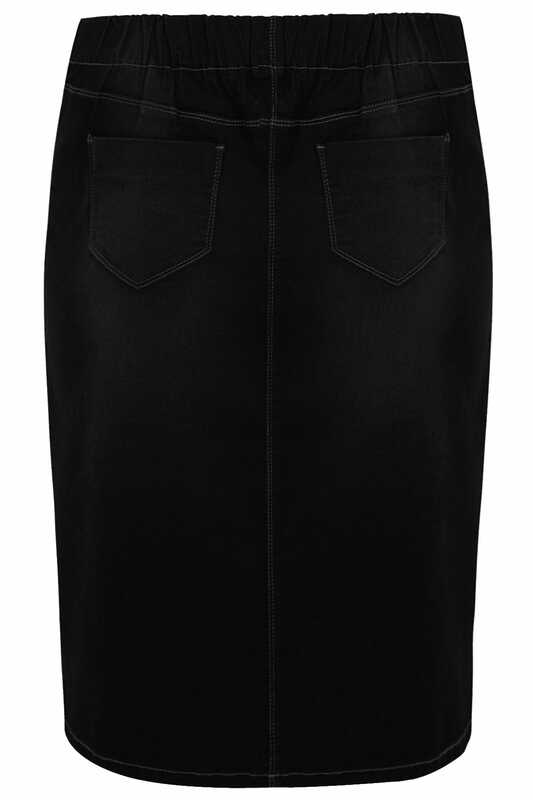 Made from a stretch denim fabric, this stylish pencil skirt features an elasticated waistband for an easy and comfortable fit. Team with a woven blouse, tights and heeled boots for an on-trend daytime look. Denim skirts are a wardrobe essential! It's super versatile and can be worn all year round.